Want to Know Some Home Teeth Whitening Tips? It is important to feel confident about connecting with people around you, whether this is expressed by a smile, laughter or having a conversation. When you are happy with the appearance of your teeth you are naturally inclined to engage them with a smile. A smile is universal. In every language a smile conveys confidence, happiness, empathy and so many other wonderful emotions that humans are capable of. For anyone who feels self-conscious about the colour of their teeth and hesitates to smile, we can change this for the better. Somewhere along the line teeth whitening has become synonymous with whiter than white teeth that can often look unnatural. This is unfortunate as teeth whitening can be subtle and can be tailored to best suit your skin tone; it is a versatile treatment that can offer the patient more than a dazzling white set of teeth. For anyone who is self-conscious about the discolouration, or yellow colour of their teeth, whitening is the ideal treatment to restore your teeth’s lighter natural colour and your smile confidence. Teeth whitening is a bleaching process that uses either hydrogen peroxide or carbamide peroxide as the active ingredient to remove staining on the tooth. It is safe, quick and simple, and the best part is that you are in control of determining how much lighter the colour of your teeth will be. The desired colour of your teeth is a personal preference, for some bright white is the ideal, for others a lighter, more natural brighter smile is the optimal outcome. 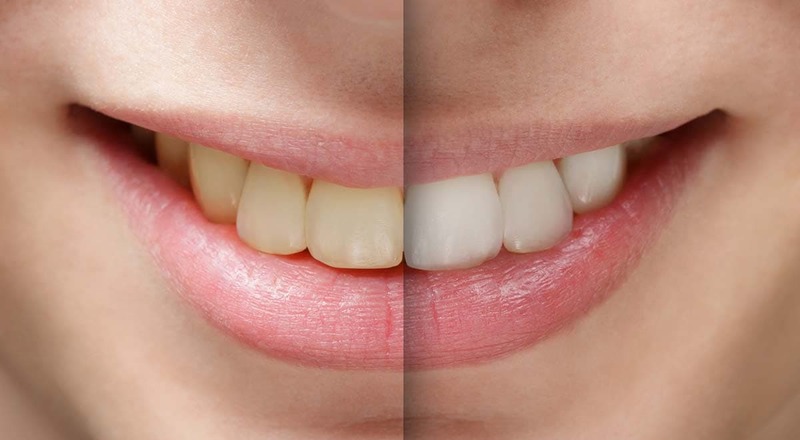 Regardless of the shade of white you choose, after whitening your teeth they will look healthier and the lift in colour can take years off the perceived age of your smile. With home whitening kits the bleach is applied over several applications allowing you to decide when your teeth have reached the colour you desire. The first step is for your dentist to make your bleaching trays, which are similar, but less bulky and more comfortable than mouthguards. 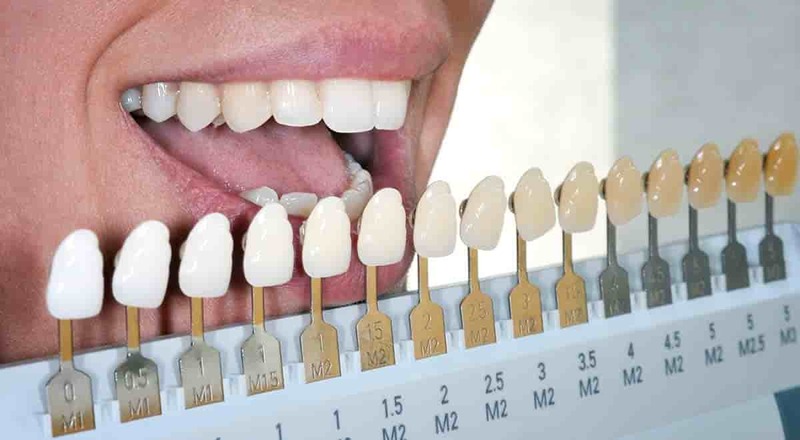 Impressions of your teeth are taken by your dentist and are used to develop precise bleach trays that fit snugly over your top and bottom teeth, this process usually takes a few days. Once you have your teeth whitening kit you can start the process straight away. Keep the bleach contained in your teeth whitening kit in the refrigerator. Remember to brush and floss your teeth as usual before you use your bleaching trays. Apply a small, rice-sized drop of bleach in the front surface of each tooth in your trays (You don’t need to worry about your back teeth, because they won’t be seen). Line up and insert the trays into your mouth, seating them firmly onto your teeth. Wipe any excess gel away from your gums with a tissue or wet cloth; this will prevent the gel stinging the gum area. Day whitening kits only need to be left in place for 15-30 minutes. Night-time kits need to be left on your teeth for at least two hours, but preferably overnight. When the allocated time is completed take out the trays and lightly brush your teeth without toothpaste to remove the remaining bleach from your teeth. Clean your bleaching trays with cold water and a toothbrush, then thoroughly dry and return them to your blue plastic container. The container should always be stored in a cool dry place. Bleaching trays should be worn everyday, for 4-6 consecutive days, or until ideal whitening is achieved. If you are experiencing sensitivity you can wear the bleach trays every second day until the desired colour is reached. Another option if you are experiencing sensitivity is to use Tooth Mousse after each bleaching session. Tooth Mousse is applied to your clean trays and worn for 2-5 minutes after each bleaching session. Any left over bleach can be reused within a 12 month period if it has been kept continuously refrigerated. During and after bleaching your teeth become slightly more porous, so you should avoid any stain-causing foods and drinks, such as tea and coffee, red wine, curries and smoking. You will notice that your teeth will start to discolour again over time, usually a six to twelve month period depending on how much and how regularly you drink/eat certain beverages and foods. When you reach this point you can repeat the whitening process.